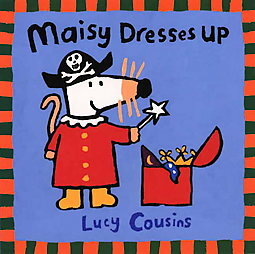 One of four adventures familiar to children who watch Maisy on TV, in MAISY DRESSES UP, Maisy and her friends play dress-up. As always, toddlers, preschoolers, and parents will find the ordinary extraordinary with Maisy! PreS In the first story, Maisy tries to come up with a unique dress-up idea for Tallulah's costume party. All of her friends have already arrived when, "In comes a zebra. Oh, it's Maisy!" 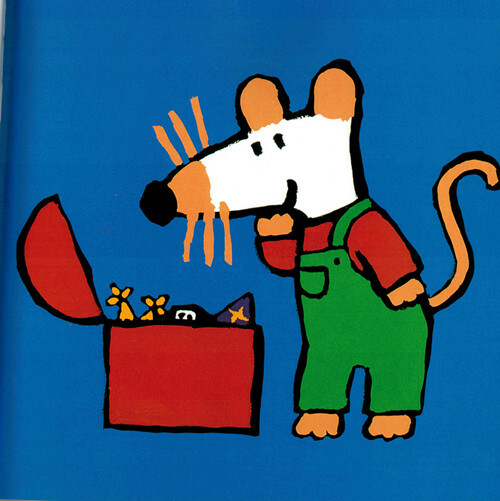 In the second title, the endearing white mouse gathers the ingredients she needs and makes gingerbread cookies. As she's cleaning up the dishes, two friends arrive "Just in time for an afternoon snack." 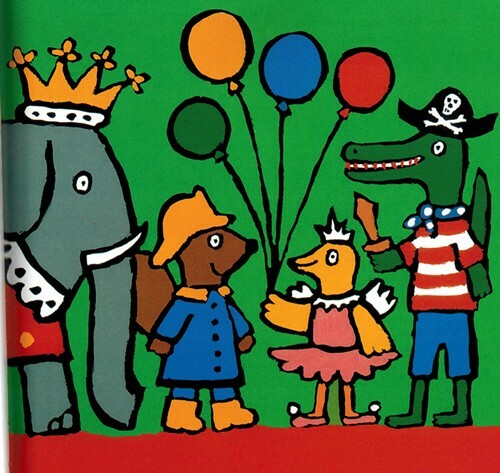 The simple texts and bright illustrations done in primary colors make these offerings appropriate for very young audiences. Good choices for laptime, but also suited to sharing in small group settings. 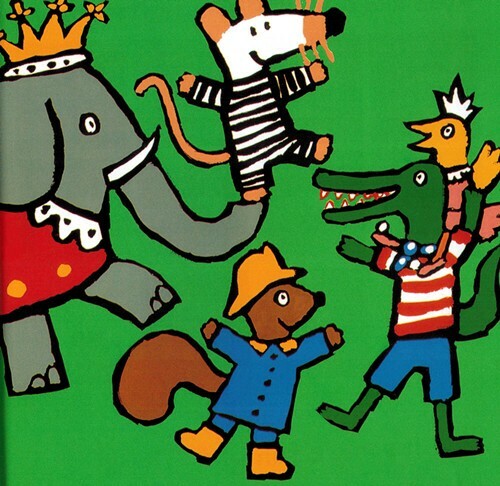 Colourful and bright illustrations and simple texts appeal tremendously to the preschooler. In this particular book (one of a series of adventures) Maisie decides on a costume for a party. My 21/2 year old daughter has come back to this book again and again in the last six months, except that now she likes to read it to me! Also recommended for this age and the right temperament (patient, likes imaginative play) is the Maisie Playhouse. The small cutout parts are somewhat fiddly for little fingers but it is sure to occupy you (initially) and your child in many happy hours.